From: Rhinelander, WI. Take Highway 17 North approximately 20 miles to Highway 70 East. Take this highway for three miles and turn left onto Highway 17 North for 1.5 miles to the Best Western Derby Inn. From: Minocqua. Take Highway 70 East approximately 20 miles to Eagle River. 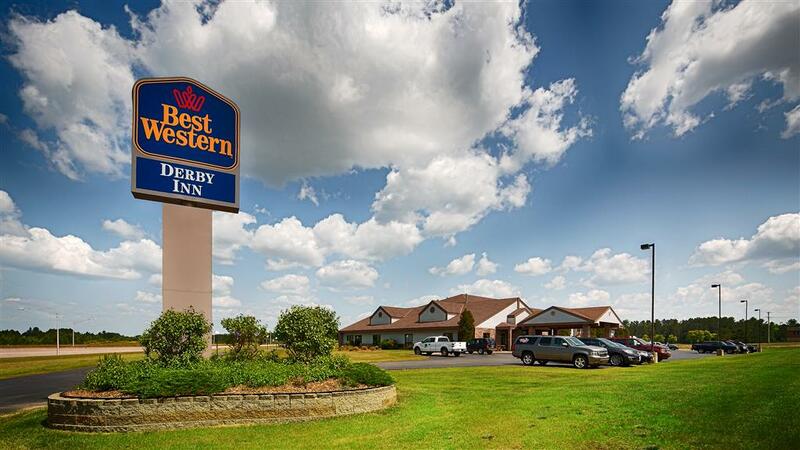 Take Highway 45 North for approximately two miles to the Best Western Derby Inn. Pool - Indoor pool Heated open 24 hours. Adults only from 11pm to 7am. ~22 miles from Eagle River. A big Lincoln-headed, copper-colored monument remembering 1.7 million pennies that were raised to build a local hospital. ~42 miles from Eagle River. ~55 miles from Eagle River.